This is one of those times when curiosity got to me. I have seen a lot girls getting their hair color changed for years but I never entertained the thought of dyeing my own hair. I was just so curious how my hair would look like if I lightened it a bit. 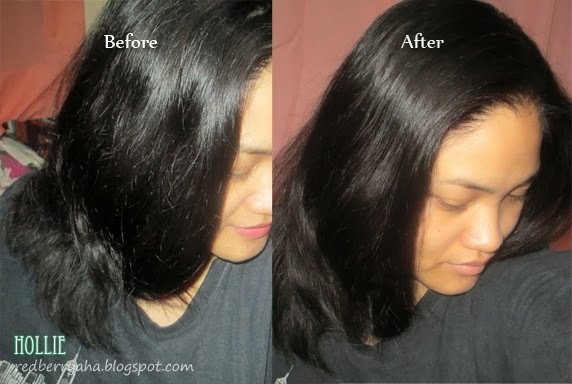 So, this is the very first time that I applied a permanent hair color to my naturally black virgin hair. 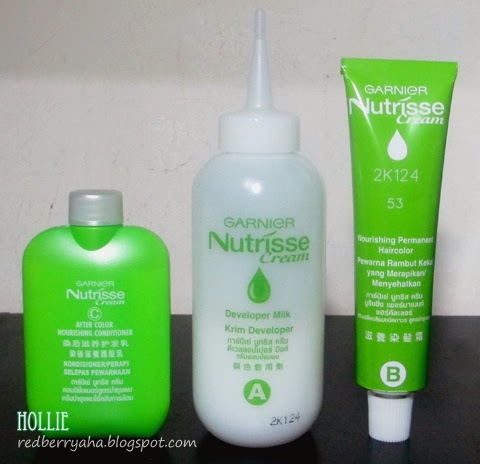 I chose to use the Garnier Nutrisse Cream Nourishing Permanent Hair Color, since I felt like it it was a reliable brand. 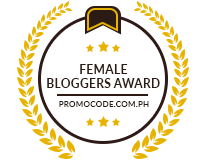 Plus the box only cost Php 299.00 pesos. I looked into brands like Revlon and Loreal but they were a bit pricey. The box contents include the Garnier Developer Milk, Nourishing Permanent Haircolor, After color Nourishing Conditioner, Plastic Gloves, and an instruction manual. 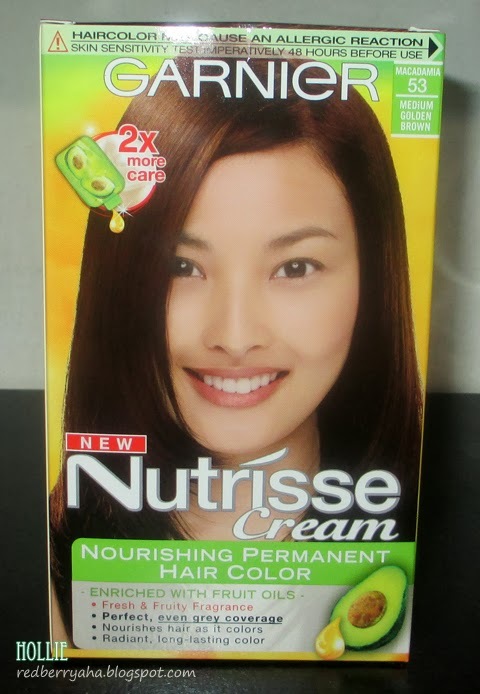 Since this is the first time I'm applying dye on my hair, I read the manual and also watched the Garnier Nutrisse Hair Color - How-to Application Video on GarnierUSA Youtube Channel, just to be sure that I do it right. The manual says, it is best to apply the haircolor on dry unwashed hair, so that's exactly what I did. And true enough, there were no drips. Upon application, I did feel a slight sting and a little bit of itch on my scalp but it went away after a few minutes. I let the haircolor soak in my hair for 25 minutes, as instructed on the box. 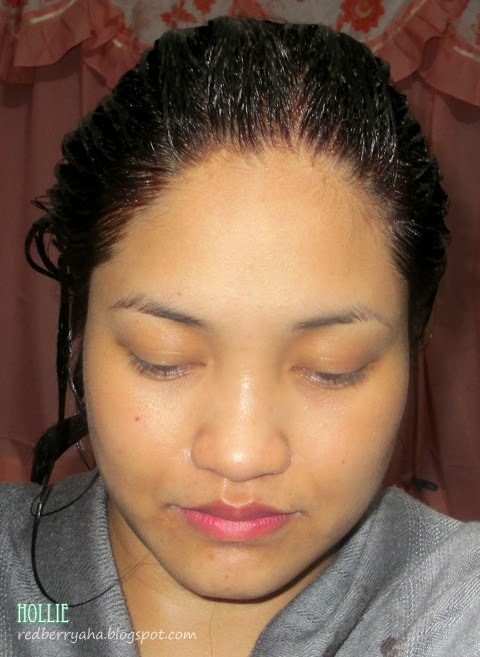 Then I washed my hair until the water runs clear, then applied the Garnier conditioner. I used up the whole bottle of conditioner and left it to soak for 3 minutes then I rinsed my hair. My hair color only changed a bit, but at least it is not Jet Black anymore. My friends told me that I should leave the hair dye for 1 hour before rinsing, for the color to really soak. But I followed what was written on the box. I am quite happy with the results because it did not dry out my hair like I expected it to. From what I understand, I will need to dye my hair again after a few weeks, if I want to lighten it. Since I have virgin hair, it only stripped the natural black tint on my hair. I read somewhere that my preferred hair color will surely show the second time around. How bout you ladies, have your tried to dye your own hair? If so, what brand of hair dye did you use? 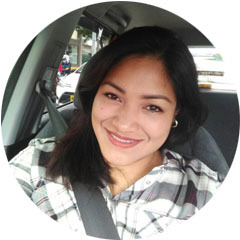 What's the difference if I had my hair color changed professionally? my mom used Garnier to color her hair also because it's very affordable and easy to use!